See More GPS Equipment Here This handy little Google Earth and Maps compatible GPS Fob is capable logging GPS data every 2 seconds for up to 60 hours. The robust fob can be used on your person with a neck lanyard (or simply in your pocket) and in any vehicle using the car power adapter supplied. The stored information about where you are / have been is then input to a Google Earth/Maps capatible PDA, Mobile or Hand Held Device. In an instant you can view your journey using Google Earths/Maps simple interface, this is an ideal device for anyone wishing to keep track of their location (or someone else's). The two way calling option allows for two way communication. This model comes with a 2.5mm earphone input and a set of earphones, a built in MIC to facilitate communication and boosts a powerful signal, so whether you're in the city or country side you'll still receive a strong signal and be able to fully utilize this GPS tracker. This quad band GPS tracker is suitable for use on pets, children and even adults and require NO contract/fees over and above your SIM providers contract/fees. If you enjoy the outdoors, and often go hiking, or camping, this GPS tracker is definitely a must have to keep your loved ones safe. Picture this! You drop off your teenage kids at the library, but you can't be sure whether their there studying after you dropped them off, or ran off to a friends house. 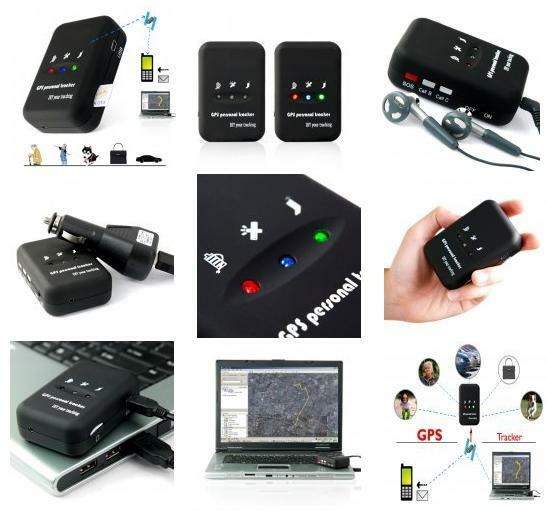 Now you can with this Global GPS Tracker with Two Way Calling + SMS Alerts. Just send a text message to the SIM card within the GPS tracker & the location in precise latitude & latitude will be send to you automatically from the GPS tracker, you can then check their location using Google maps and see if your kids are really at the library or somewhere else. Actual model and style may differ from picture shown but the specifications are the same.